The American Association of Equine Practitioners Touch program has been kind enough to share an article with their 10 Tips for Caring for the Older Horse. We hope you enjoy! Observe your horse on a regular basis. Watch for changes in body condition, behavior, and attitude. Address problems, even seemingly minor ones, right away. Feed a high quality diet and avoid dusty and moldy feeds. Place feed for your older horse away from your more aggressive ones so they will not have to compete for food. Feed at more frequent intervals so as not to upset the digestive system. Two to three times daily is best. Adjust and balance rations to maintain proper body conditions. A good rule of thumb is to be able to feel the ribs, but not see them. 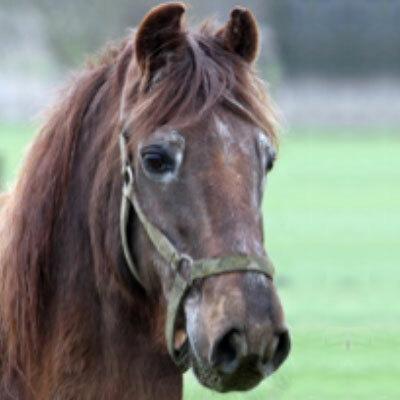 Be aware that older horses are prone to tumor. Look for any unusual lumps or growths from head to tail as well as beneath the tail (especially on gray horses). Schedule routine checkups with your equine veterinarian. Call immediately if you suspect a problem. A quick response to ailments, injuries or a decline in fitness can keep your older horse fro having a serious or prolonged setback. That means less worry for you and a better quality of life for your old friend. If you have any questions about this article or would like us to create a wellness program tailored to the needs of your older horse, please give us a call! I posted previous comment on wrong newsletter. Anyway, many of our horses are geriatric now, so this is great info as well.